We’re pleased to present the seven businesses that have been shortlisted for our Business Supporter of the Year award, to be announced at our Birthday Party on Friday 9th February 2018. 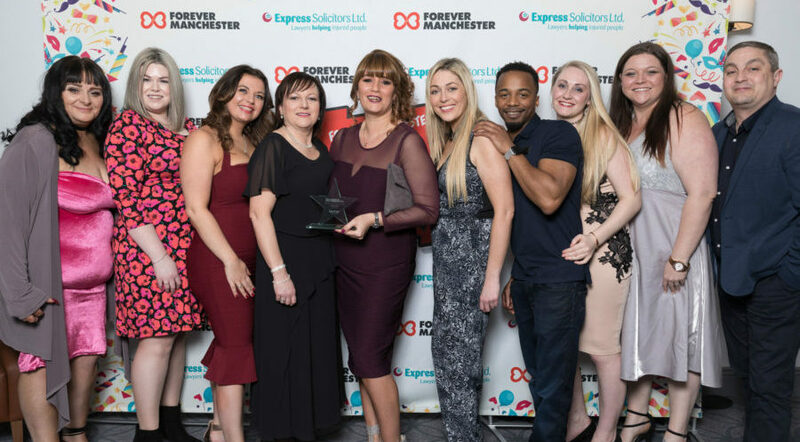 The Business Supporter of the Year award is in recognition of a business that has made a significant commitment, support and contribution to the work of Forever Manchester; making a considerable impact in Greater Manchester communities. The Business Supporter of the Year award at this year’s Birthday will be sponsored by Tilney. Tilney is an award-winning financial planning and investment company that builds on a heritage of more than 180 years. Their clients include private individuals, families, charities and professionals, and they look after more than £23 billion on their behalf. Express Solicitors is an award-winning Top 200 UK law firm that specialise in personal injury claims. The firm prides itself on pursuing a huge range of ‘no win, no fee’ personal injury claims – helping people to claim compensation for any accident they may have experienced. Express Solicitors cover every area of personal injury including; employer’s liability, road traffic accidents, serious injuries, clinical negligence, occupier’s and public liability, and industrial disease. They are a major supporter of Forever Manchester, raising over £60,000 during the three years they have supported us. They were the main sponsor of our Birthday Party last year and are the sponsor of this year’s event. Bardsley Construction is over 50 years old and their diverse workload includes the construction of education facilities, medical centres, leisure facilities, sporting facilities, offices, industrial and retail premises; not to mention over 800 homes built for a wider client base over the last six years. They also deliver refurbishment and conversion projects including work on behalf of Local Authorities to housing stock, schools and other civic and municipal buildings. Bardsley Construction is one of Forever Manchester’s longest partnerships. 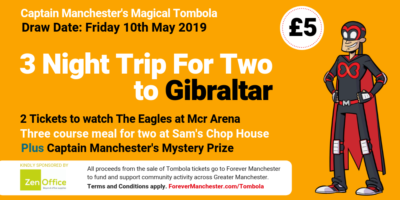 The company has had the Bardsley Fund with Forever Manchester for over 12 years, providing over £200,000 during that time through staff donations and fundraising. Staff meet on a regular basis to consider funding applications, and they also hold an annual golf day to support the fund, inviting stakeholders and partners to participate. Convergys is an international telemarketing and business process outsourcing company with its head office based in Cincinnati, U.S.A. They handle customer service activity for many well-known high street brands. They employ 130,000 people worldwide in 150 locations across 33 countries. Three of their Manchester-based call centres are supporting us; Atlantic Point in Altrincham has raised over £10,000 since they started supporting us last year and their site at Pear Mill, Stockport has raised over £1,000. They have run lots of fundraising events for us including taking part in our FM Football 7-a-side tournament, cake baking and taking part in the Great Manchester 10k Run. Their Head Office also made a generous donation in addition to the staff fundraising. Brother UK is a supplier of technology solutions, helping businesses deliver greater productivity and efficiency through documentation, digitisation, collaboration and mobile work solutions. Based in Tameside, they have around 170 staff. As part of their inclusive and active corporate social responsibility programme, they launched the Brother UK Fund with us three years ago and have provided over £75,000 in funding. Staff at Brother UK regularly join in fundraising activities and various sponsorship opportunities at the Birthday Party each year. They also sponsored one of the first Forever Manchester Women events, regularly take part in Forever Manchester Week and attend Forever Manchester networking events. Since 2001, Oscar has been providing highly skilled technical and managerial candidates to organisations across the Energy and IT/Technology sectors – from global corporations to local SMEs. What makes them different from other recruitment agencies is their approach to helping to find an outstanding professional or group of professionals within agreed timescales. They believe it is essential to fully understand their client’s job requirements in order to find the right person to fill the role. They have supported us for two years and have taken part in lots of fundraising events including Caketober, our FM Football 7-a-side tournament and the Great Manchester 10k Run.